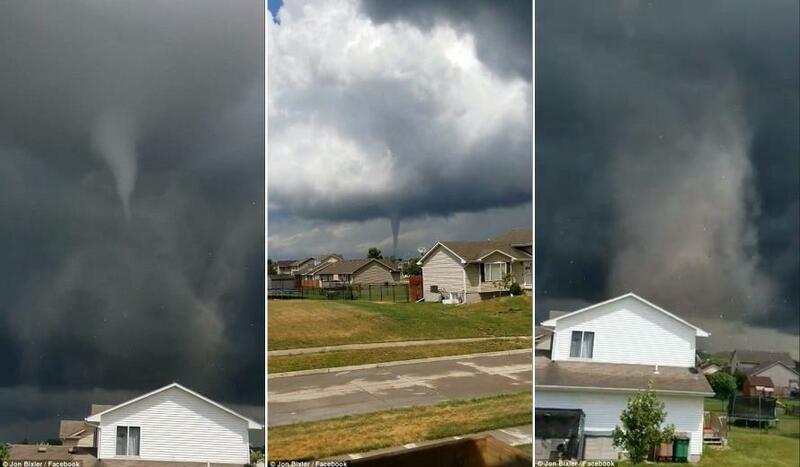 Parts of Iowa was left devastated as several tornadoes carved a path through the state. 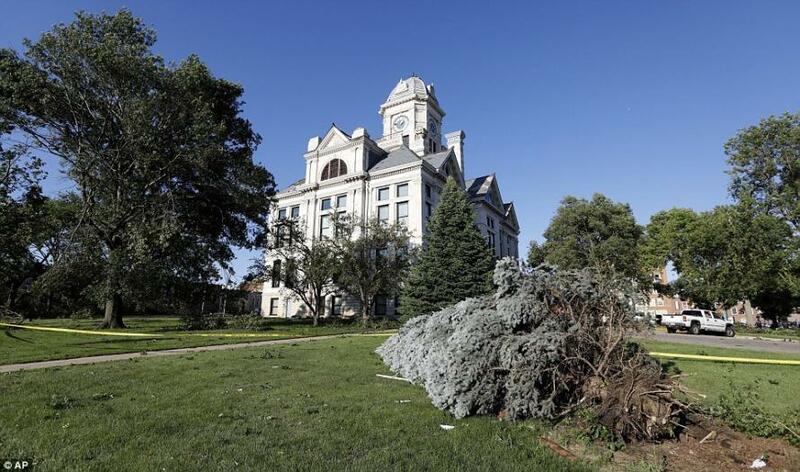 In Marshalltown, a city of 27,000 people around 50 miles northeast of Des Moines, roofs were peeled off buildings like tin cans, buildings were flattened, and the cupola of the historic courthouse was blown 175 feet to the ground as city officials declared a state of emergency with a 9pm curfew. Residents have been asked to stay out of the north part of town, as downed power lines, gas leaks and debris pose a danger. The damage was widespread, as the emergency room at the Marshalltown hospital remained open to treat injured patents, while the main hospital evacuated 40 patients, according to UnityPoint Health hospital spokeswoman Amy Varcue. 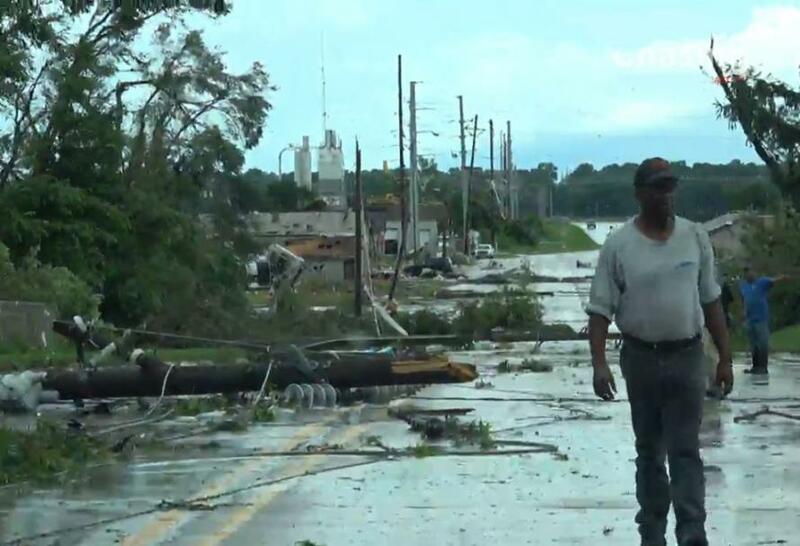 Ten people injured by the storm had been treated by 7pm Thursday, while the extent of their injuries are unknown. 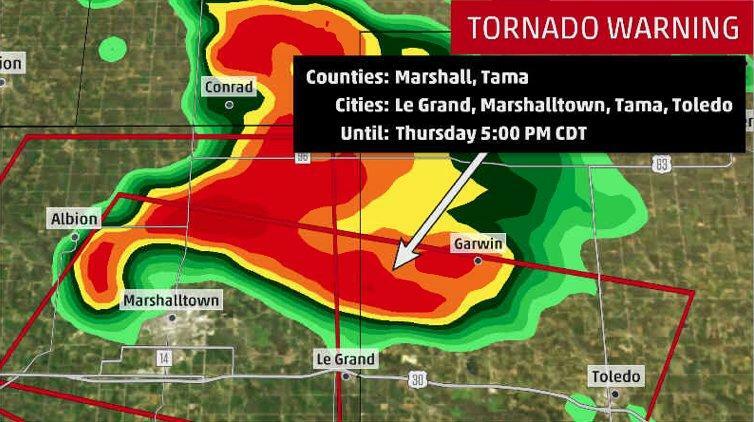 A spokesperson for UnityPoint Health in Marshalltown said the hospital sustained damage from the tornado as well and that 40 patients were being evacuated. 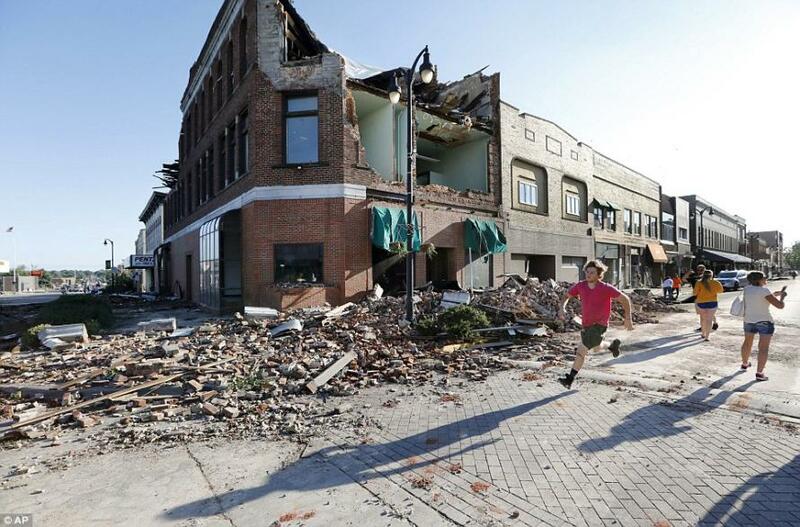 Tornadoes didn't sapre Vermeer Manufacturing, which makes farm and construction equipment in the town of Pella around 40 miles southeast of Des Moines. 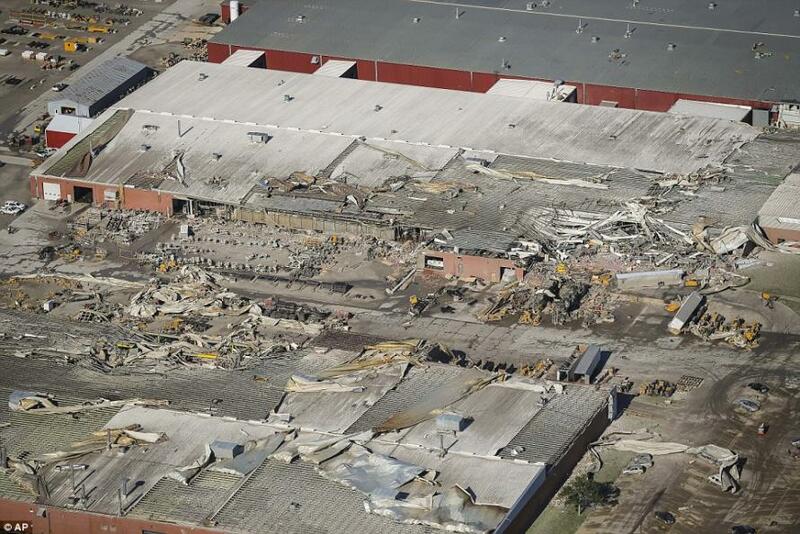 Giant sheets of metal were scattered throughout a parking lot, as warehouses were destroyed. The company which makes hay balers, mowers and equipment for the pipeline and forrestry industries employs around 2,800 people. CEO Jason Andringa said that 400 dealers and customers were in town this week to celebrate the company's 70th anniversary, according to KCCI. Vice President of Operations Vince Newendorp said the east half of the company's campus, which includes seven manufacturing buildings, sustained extensive damage. Pella Police Lt. Shane Cox told KCCI that several plant workers were taken to the hospital, however the number of people and the extent of their injuries are unknown. Emergency responders entered the damaged building to search for any trapped victims.